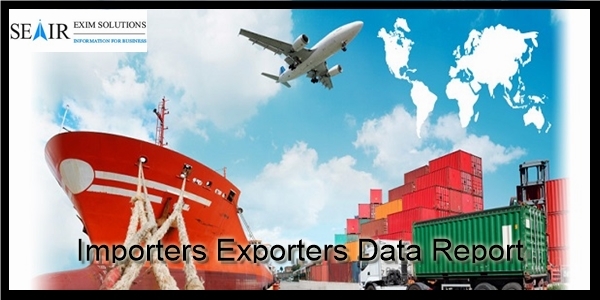 There are dozens of official sources for collecting Importers Exporters Data report out there. And SEAIR Exim Solutions is one of them. Our firm has been dedicated to providing actual and updated data information to the clients since 2009. We are the reputed international trade data providing company in the market at present. And through our blog posts, we are always trying to enhance knowledge of the import-export industry to people. Importers Exporters Data is one of the most selling data of our firm as we provide it country-wise. A lot of people have an interest in international trading because of new business opportunities. Without any doubt, it has an abundance of benefits for your business. But, taking entry in this business is not kid’s play as you should have deep knowledge about this industry. And in order to understand it, there is available import and export data for you. It gives a huge range of industry-specific shipment records which help to understand the entire aspects of the international trading business. With this data report, you’ll get highlights of importing and exporting movements of any country you want. Along with these details, it offers comprehensive coverage of the trading statistics. You’ll collect both current and historical shipping records from Importers Exporters Data report. This source completely decreases the need for taking help with complicated online directories and fake mediators. These both ways are not authentic and there is no guarantee you’ll get genuine records. So without wasting your time and efforts on these bogus sources, fill up our sign-up form with personal details and get immediate data assistance. We have linked with trustworthy customs sources including port authorities, trade association, and government bodies which provide accurate records. After fetching records from them, our data analysts filter every record and then properly maintain in Importers Exporters Data report. We have only one objective and that is reducing the efforts and time of our clients while searching for international shipping records.